Aphex Twin delivered his first music video in 17 years with 2016's "CIRKLON3 [ Колхозная mix ]," but now the IDM vet's music has turned up in a different kind of visual. His classic 1999 track "Windowlicker" soundtracks a new road safety advert airing in the UK. 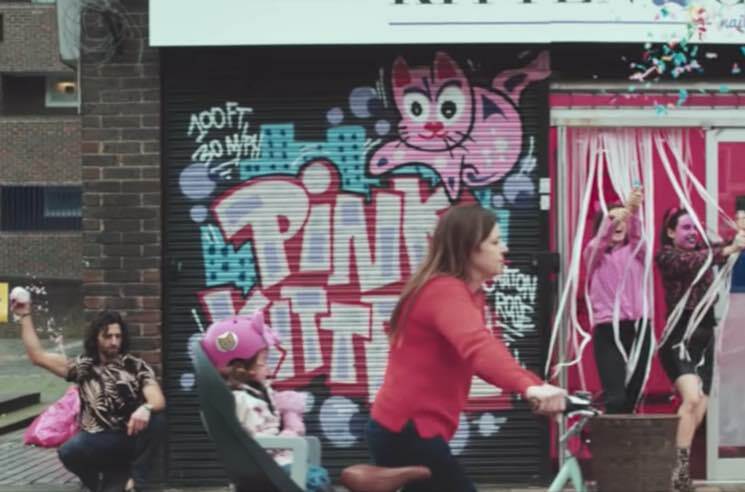 Created in partnership with Think!, the new clip is dubbed "Pink Kittens." It cleverly toys with playback speed to warn viewers just how much they can miss when glancing down at their phones for a few seconds. The clip was directed by the same team behind Pharrell Williams' massive music video hit "Happy." Watch the new ad down below. Aphex Twin isn't the only musician whose tunes have been used to teach road safety as of late — the lyrics to Taylor Swift's "Look What You Made Me Do" recently appeared in an Iowa Department of Transportation campaign.